Tubes but I don't do HT or any of that as it is hard enough to perfect two channels or 2.1 nevermind all that other stuff. I have Transcendent Sound equipment not being used. For the life of me I just can't let the GG and the SOB go. 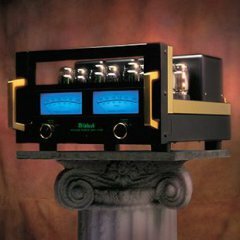 Have listened to tube amps but have never owned one. Perhaps one of these days if I stumble across one that puts out a fair bit of power. A low watt unit would not work well with my Ohms. Even if you record with tube equipment it will sound more like the the recording using SS. You can pull up a tube system on you tube and if they are using tubes that is what it sounds like even using SS. I'm currently using a Luxman 509X solid state integrated for about 75% of what I listen to. But for the other 25%, I'm engaging my Luxman CL-40 valve preamp in the signal path (L509X has a preamp bypass selection). I can't explain it... for the majority of songs, the Luxman solid state sounds absolutely pristine... However, for certain content, there is a much more intimate and holographic sound from the tube pre... this is only the case for certain songs, so not genres, artists, or even albums. There are just TRACKS that for whatever reason sound so much better through the tube pre. The sound is warmer, more intimate, there is more sparkle and magic on the top end. 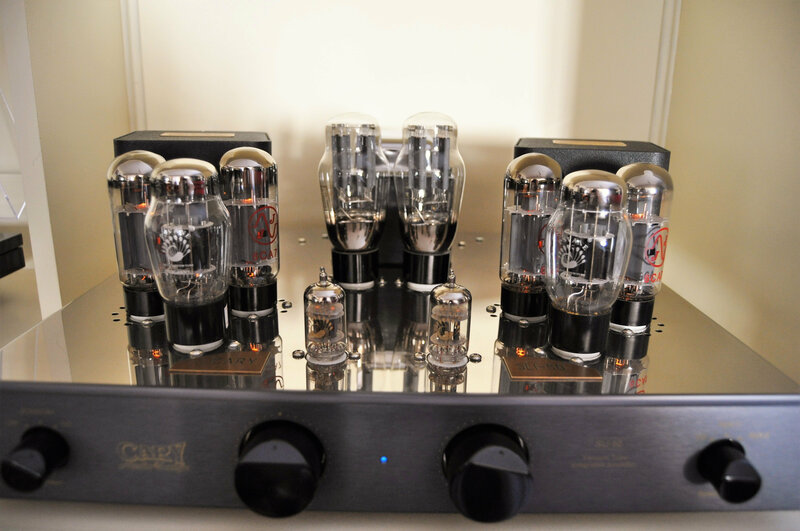 Make no mistake, the tube preamp is not accurate - it is noticeably less clean and has less accuracy and detail. But on certain songs, hitting that "Separate" button may as well be hitting the "magic" button. For example, Maroon 5's Red Pill Blues is a modern pop record that is highly produced, but it sounds better through the tube pre. "Spain" from Chick Corea Trio's Trilogy sounds better through the solid state pre... but "Piano Sonata: The Moon" sounds better through the tube pre. Same record, different songs, different sounds. Steven Wilson's To The Bone sounds so much better through the solid state pre, but Pink Floyd's DSOTM and Tears For Fears' Seeds of Love sound better through tubes. Has to be something with the engineering of the songs that lend it to preferable quality of one over the other, but I cannot find a common thread. It's just a process of experimentation. 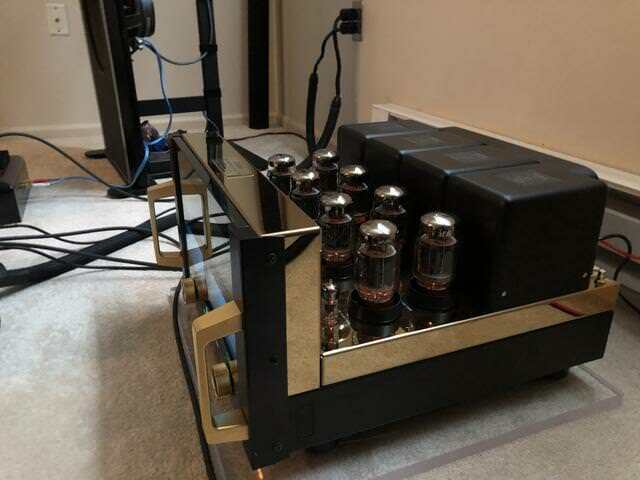 I use both, a McIntosh C504 preamp with its fabulous phono section. Then in passive biamping McIntosh MC2125 in the bass for the K33E and then a beautiful Cary SLi50 of the beautiful era, 1996 for mine. 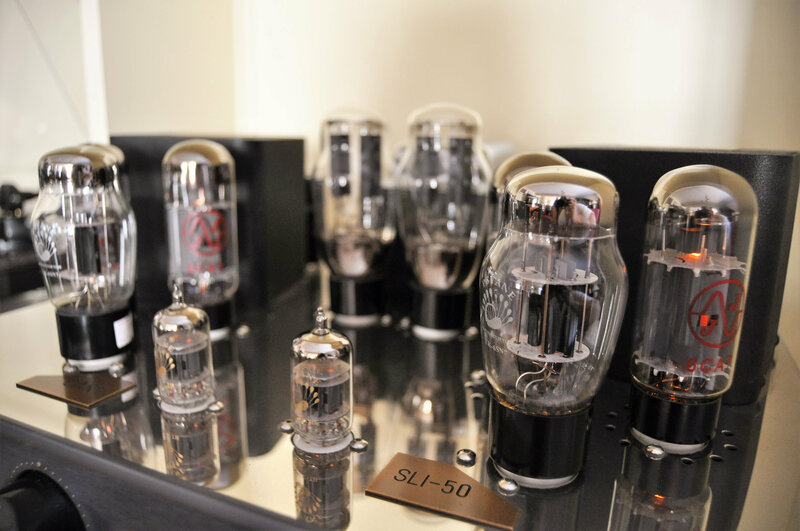 I use 5U4G SED Svetlana NOS tubes, then Psvane, and finally EL34 Mullard (JJ 6CA7 on pics). The solid state provides a large and powerful bass and then the tube amp a warm and suave sound for the Klipsch horns. Nice station and I like your way of doing the bi amp thing! I guess being honest I would like to try tubes on another system spinning records for mostly jazz, blues. But if wanting to hear something more accurate SS is the way to go. Rock, classical etc. I would love to hear your system! That being said I'm listening to jazz on SS right now and it sounds great! The solid state provides a large and powerful bass and then the tube amp a warm and suave sound for the Klipsch horns. This is what Saul Marantz himself told me back in 1977. He was right. 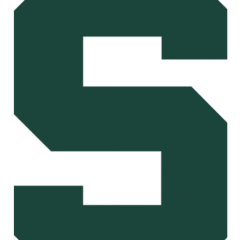 Strictly sold state,specifically class D. My tube rolling days are over. I got rid of my last space heater. For phono and pre I am a 12AX7 guy. VRD and KT88 guy for power. I am past the amp rolling phase of my life. 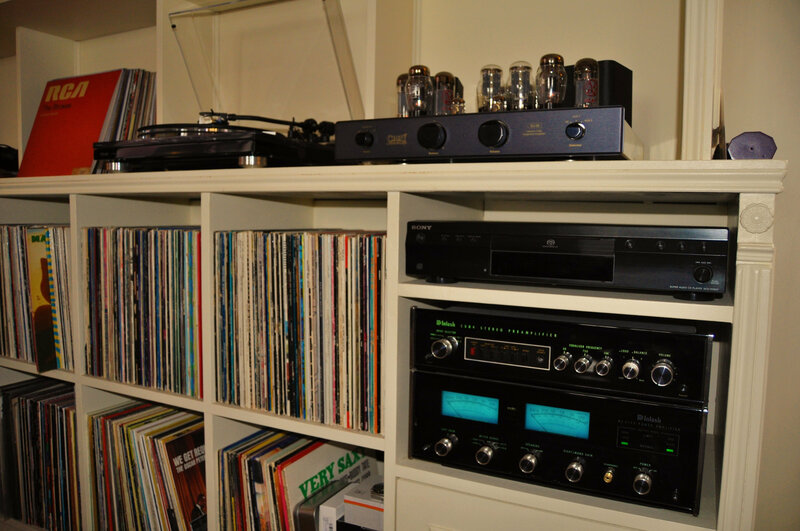 If I won the lotto Ihave would try Channel Islands class D or Accuphase SS. 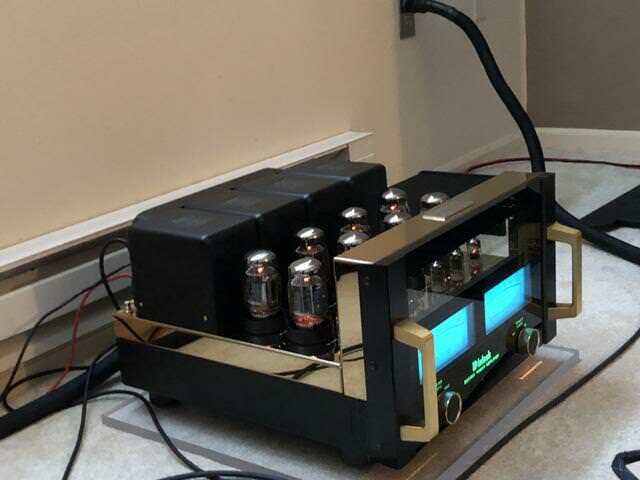 For music my MHDT NOS tube DAC was one of my favorite things I've ever added to my system, such an awesome musical sound. I now own two, an MHDT Havana and an MHDT balanced Stockholm both sound so sweet, detailed and musical. I've done a little tube rolling to refine their sound. That's cool......mirrors my experience with my tube DAC. I use it with tubes and solid state amps/preamps. Can't lose. I like hybrid amplifiers (no surprise🙄), gain the enjoyment of tube rolling to try different sonic signatures with added value of typical solid state benefits. I have been strictly solid state all along. As I get older I am looking to simplify my systems, not make them more compicated. I will strip them down to Integrated amps, CDP's and speakers. I do not see tube rolling in my future. 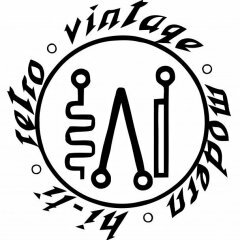 If anything it will be farewell to tape decks, EQ's, Tuners, and Turntables. The "KISS" theory, keep it simple, stupid. As class D is also solid state, I use both. I like both, with transistor amps being my least favorite. I have SS the Yamaha A-S1100 with LaScalas. 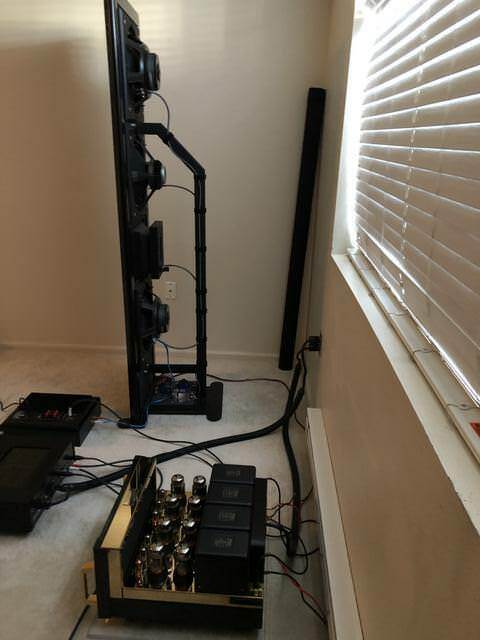 I don’t have the speakers placed directly in corners but get a powerful bass from them through the amp. Although I have to say I listen exclusively to classical music so the bass is sufficient. I prefer a detailed, clinical sound as live sounding as possible over a smoothed warm sound. 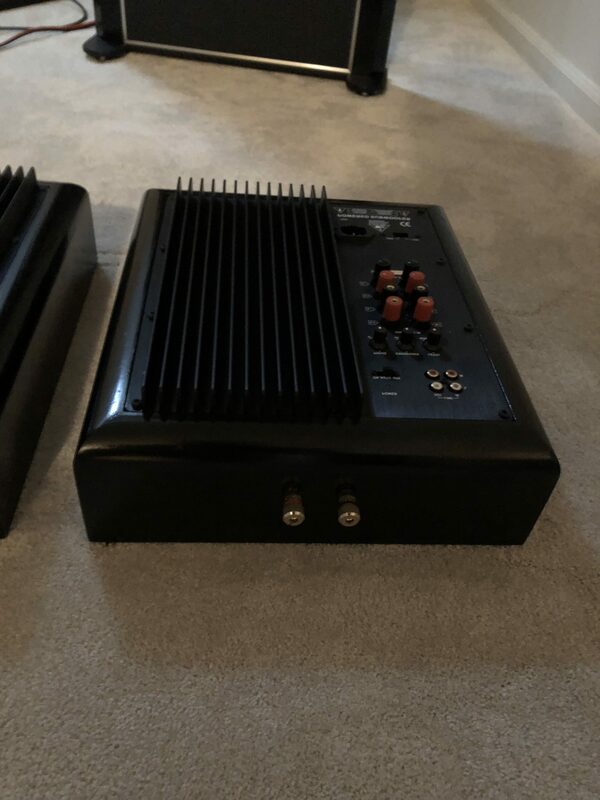 Although I am itching to get a tube setup as well, the quality of my source material varies and of course I am curious to experiment to keep getting a better sound. And I like the idea of mixing it up to keep things fresh. 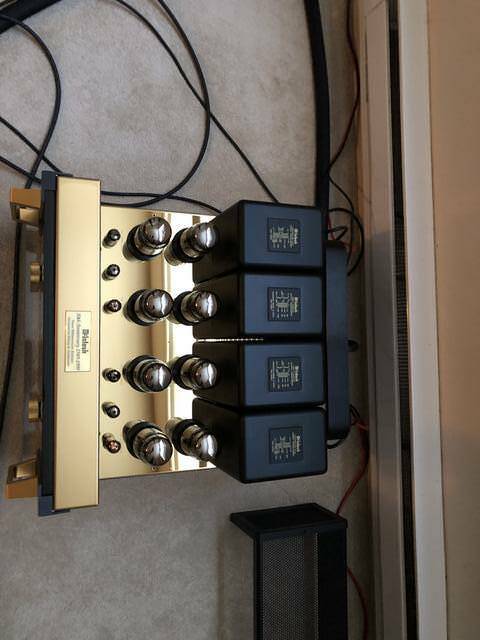 Any recommendations on tube amps with LS? I'm about to go down this path, curiosity killed the cat. Even though I am completely satisfied with my Parasound HINT, looking at tube preamps like the Prima Luna, maybe the Schitt Freya, my HINT has the HT Bypass button, press it and your wallet becomes lighter. It depends partly on the size of your room. My tube equipment is no longer being made. 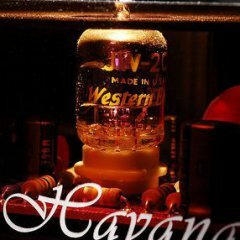 My amps are 2a3 output tubes, all of 3.5 watts. A fairly simple design with very good output transformers, gives me plenty of volume and bass. Currently hooked up to my Heresy IIs, I am surprised at how good tey sound. Room is now 20x23 with 10 ft ceiling but I have the speakers about 8 ft apart. The preamp is a JMA Merlin line stage that uses a single 6922/6DJ8 and has a tube (6X4) rectifier. You may find an amp with 18 watts and up to be more your style. I haven't had to replace the tubes in over ten years, so operating costs have been pretty low.